Hey Human! 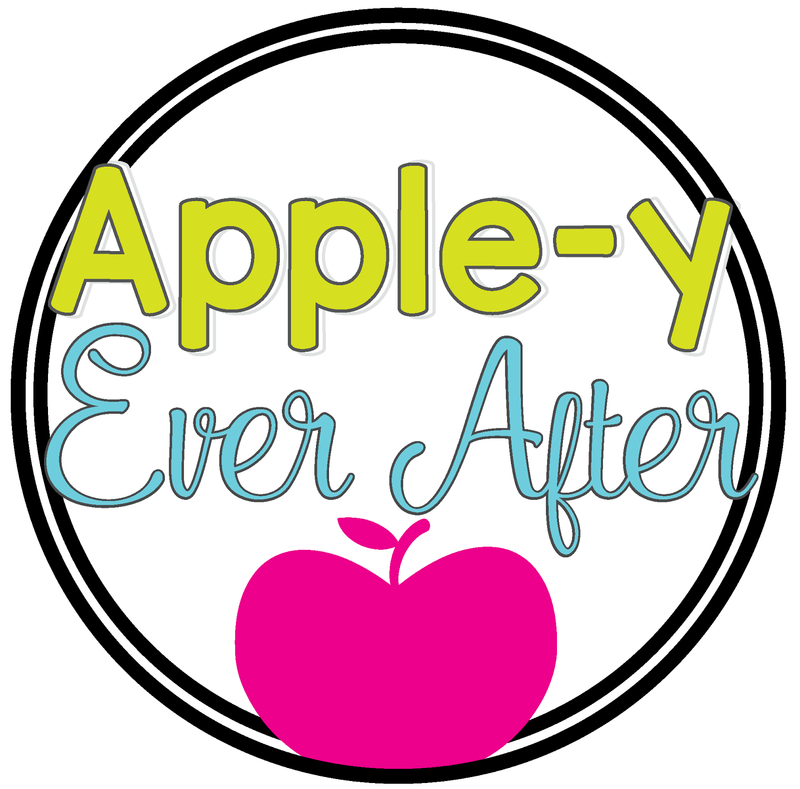 Little Monster Problem Cards Game - Apple-y Ever After! In my class, I play a game called 'My Friend Jeremy'. "So, the other day, I was walkin' down the street! Along the way I saw my friend Jeremy! He said "Hey Miss Pich! 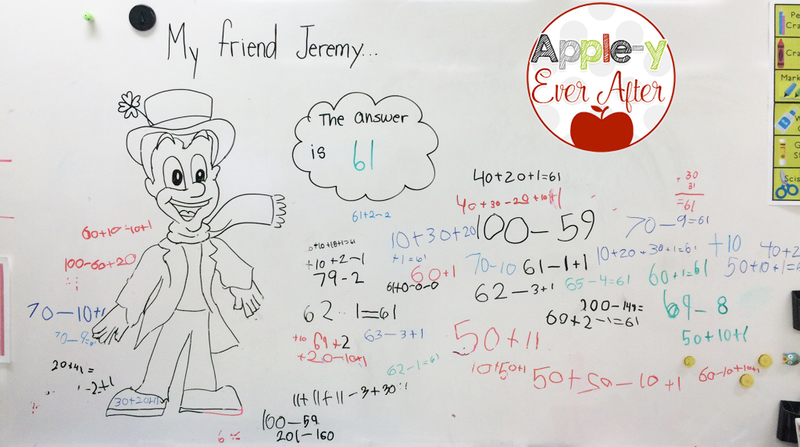 The answer is 61!" So I said, "61? What's the question?" He told me to figure it out. So I need your help!" At this point my students help me figure out as many ways to make 61 as possible. Here is an example of what that looks like! We go over answers and how they got them, then discuss if they are correct or incorrect and why/how. 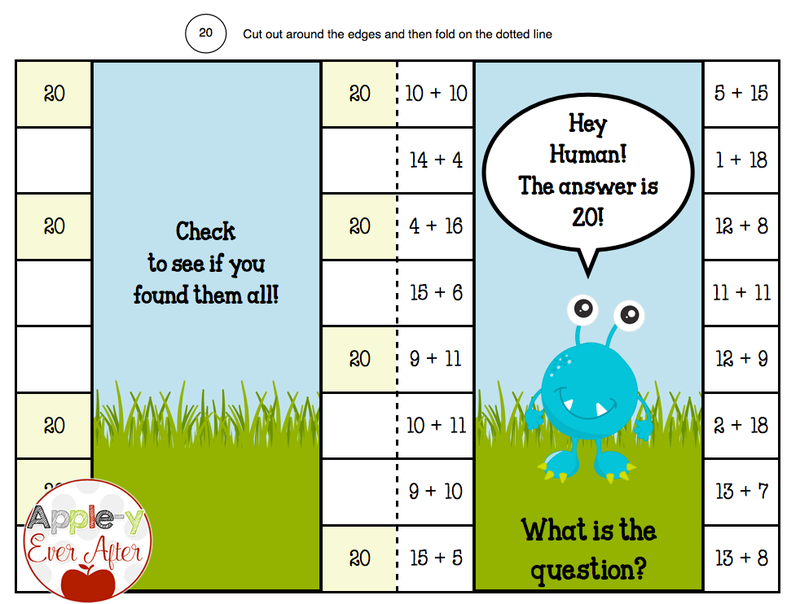 So, in order to get my students thinking a bit more about questions in their head, and then answering them, I made these 'little monster problem cards'. 3. If the answer to that question is 20, put a clothes pin on it. 4. Once you have solved all the problems to that card, flip it over to see if you have your clothespins in all the right places! All the things I love about this game! This package has both pre-made cards AND blank ones that you can use. It also contains a pinter friendly version that you can use so that you don't use sooo much colour ink if you don't want to.